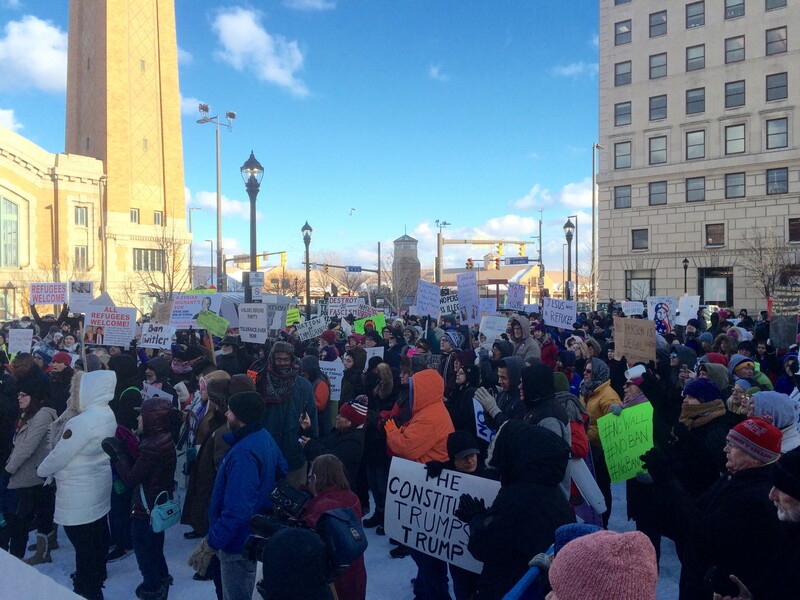 Hundreds of Northeast Ohioans gathered at Market Square this afternoon to protest President Donald Trump's recent Muslim travel ban executive order. It easily ranks as one of the largest political or social demonstrations in recent Cleveland history (next to the Women's March on Cleveland last month and, possibly, the March to End Poverty during the RNC). 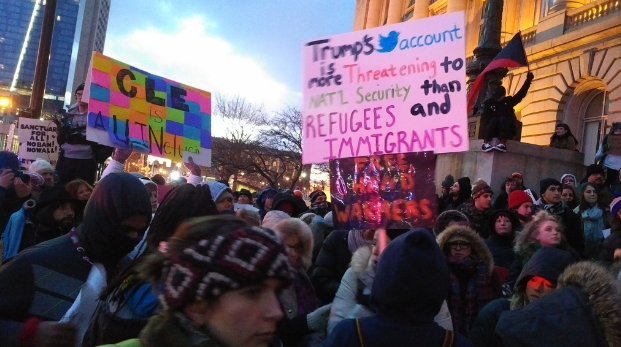 The crowd, estimated by one attendee at 2,500, began marching down West 25th Street at 5 p.m. — ultimately toward the federal courthouse and City Hall. Follow along with photographer Emanuel Wallace. 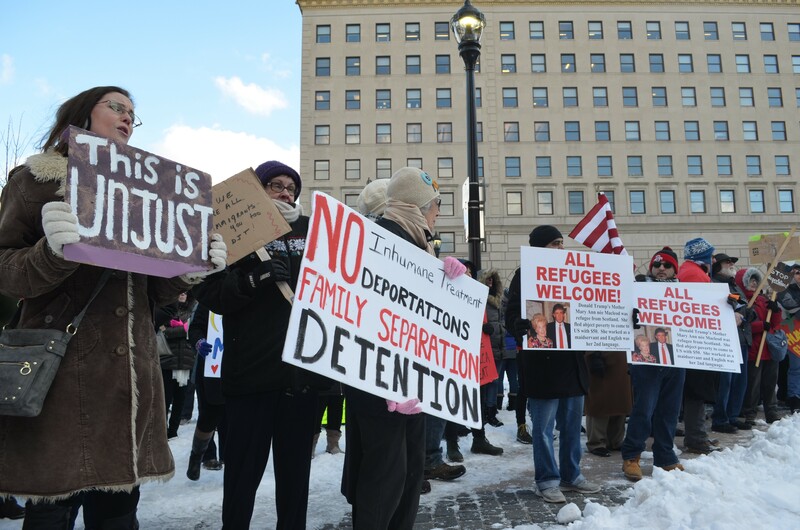 An event originally planned for Monday was postponed due to the weather, though, still, people braved below-freezing temperatures to gather and chant and, in the words of one speaker, "build community." 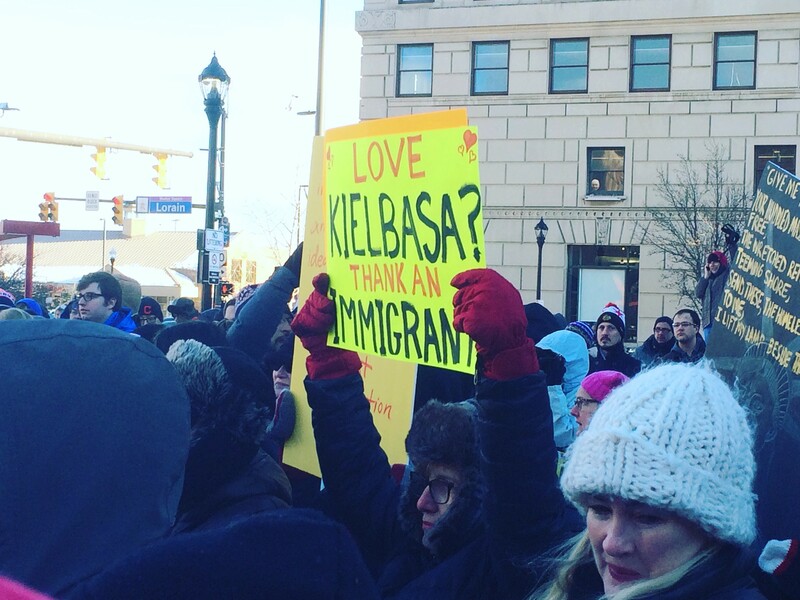 Area residents gathered at the federal courthouse this morning to welcome newly naturalized immigrants to the U.S., and, in talking with organizers around Cleveland, plenty more events are planned in the near future to celebrate the city's rich history of embracing its immigrant population. Now, if only the mayor would lend a thought on literally any of these subjects.